Can I take MucosaHeal with steroids or other prescription medications? Yes, you can take MucosaHeal along with any prescription medications. Regular licorice is contraindicated for steroids, but MucosaHeal contains only Deglycyrrhizinated Licorice, so it is safe to take with any drug. If you want to wean off the drugs (always wean gradually and slowly – consult your doctor about this) then you would take the maximum recommended dosage. Otherwise, just follow the dosage instructions according to your symptoms. 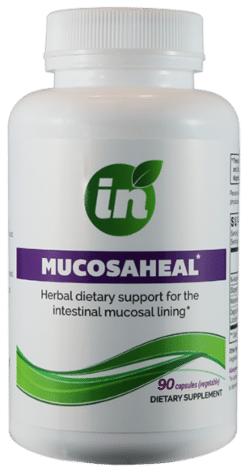 MucosaHeal provides excellent demulcent and mucilage activity for the mucosal lining of the small and large intestine. It is a 100% natural, herbal preparation that is ideal for people with Crohn’s, Ulcerative Colitis, Diverticulitis and Irritable Bowel Syndrome. MucosaHeal capsules are swallowed on an empty stomach, or, the powder in the capsules can be mixed with a non-acidic juice like apple or pear, for children or people who can’t swallow pills. Click here for more information on MucosaHeal or to purchase. 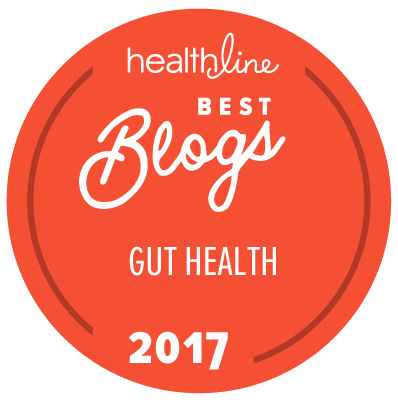 ← I’m pregnant and have IBS/IBD… What is safe for me to take? Has anyone has any experience with the natural treatment for lichen planus. I know I am grasping at straws here but it is an autoimmune reaction that involves the mucosa in the mouth.